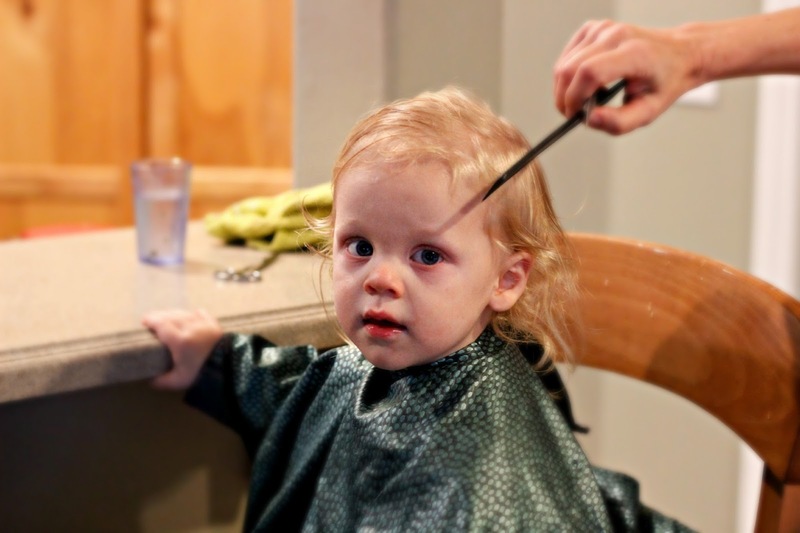 Cassie & Company: "Lot's of moms cry when their kids get their first haircut ok!>?" 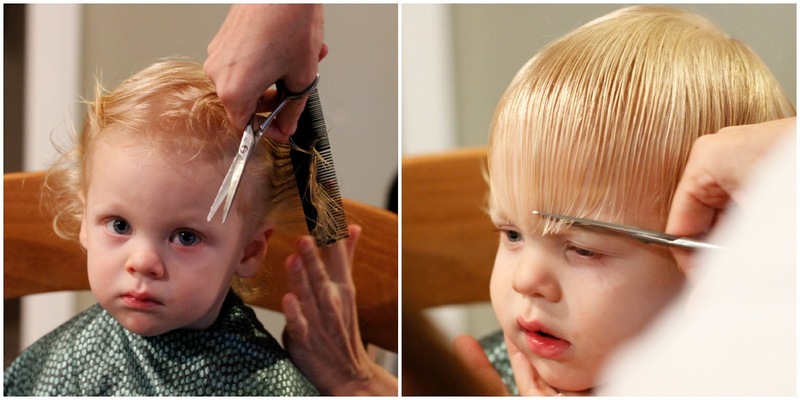 "Lot's of moms cry when their kids get their first haircut ok!>?" 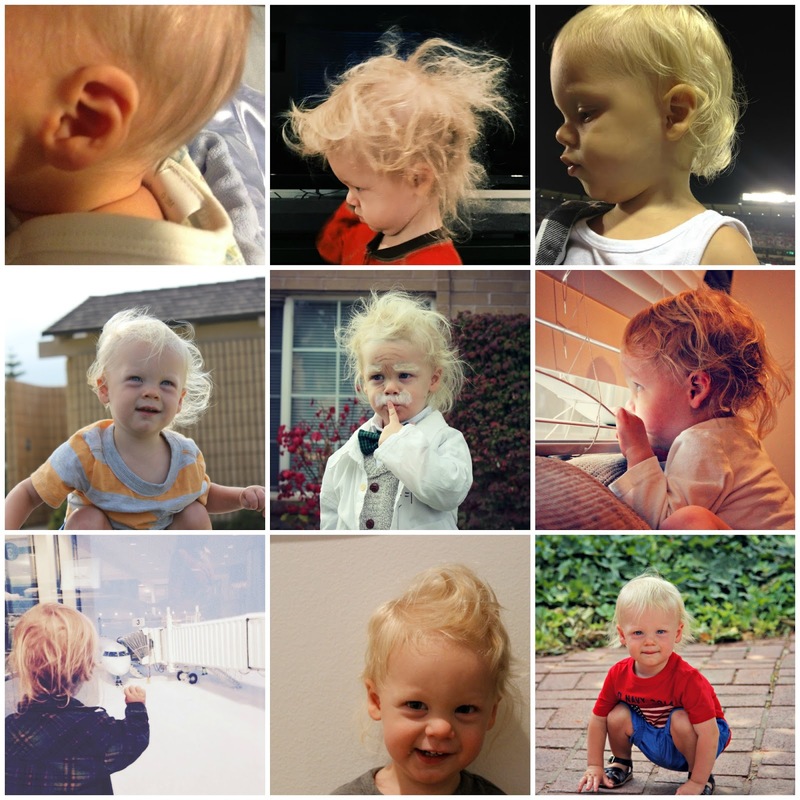 If you follow me on insta, you know how much I love Everett's flowing, blonde wispy locks! 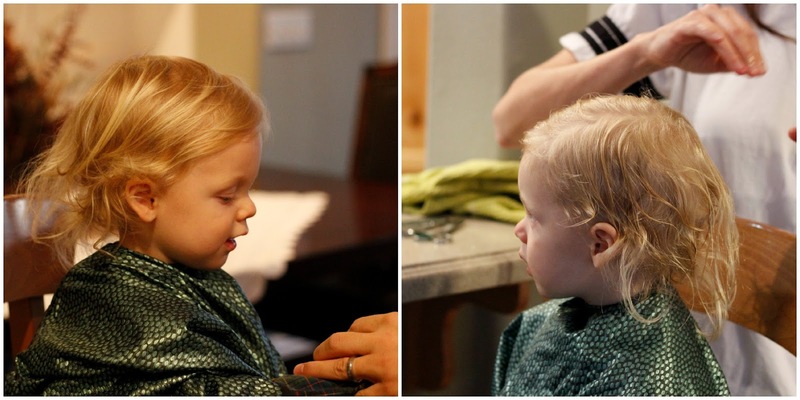 I was so emotional about his first haircut, I love little boys with long hair but it was getting a little out of control, especially the bedhead! 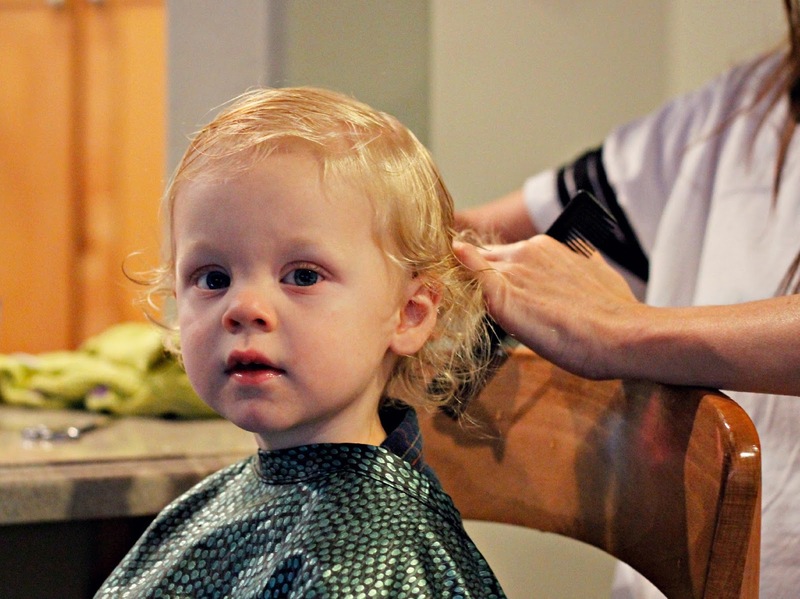 So a week before his second birthday, he got his first haircut! As much as I adore it, I knew it was time for a cut. And guess what? I loooovvvveee it! My awesome Aunt Norma cut it and it is perfect, she knew exactly what I wanted; to keep it longer-ish and a little mullet-ish. He sat so still and actually got so relaxed I thought he might fall asleep. I was scared it would make him look all grown up, but he still looks like my little baby but all the baby fuzz mess is gone. 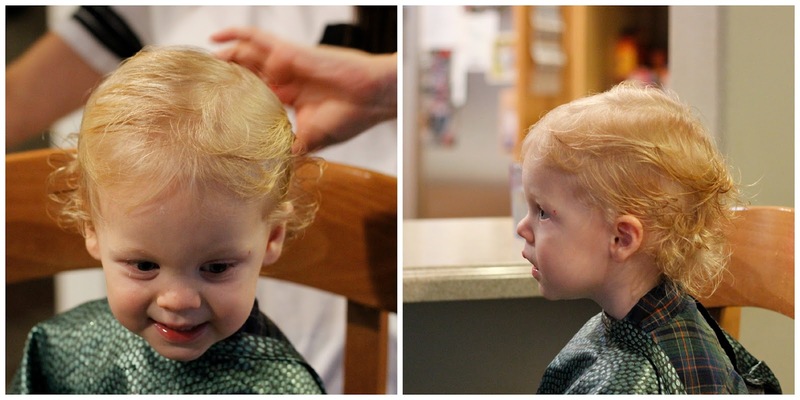 His hair actually went way more curly and it is so delicious. 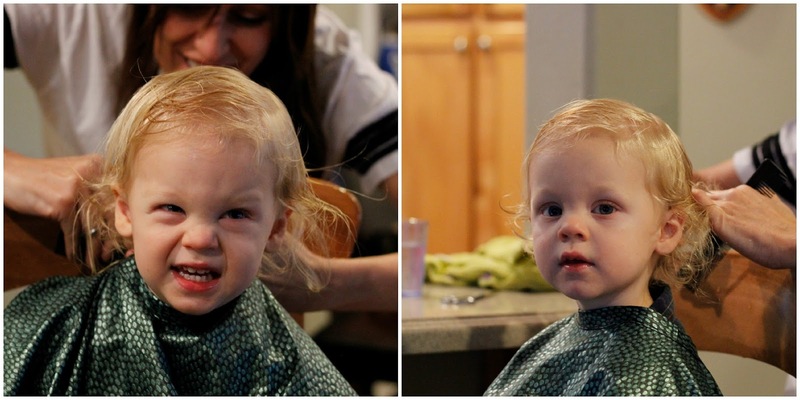 How many pictures can you have from a 7 minute haircut? Let me show you. 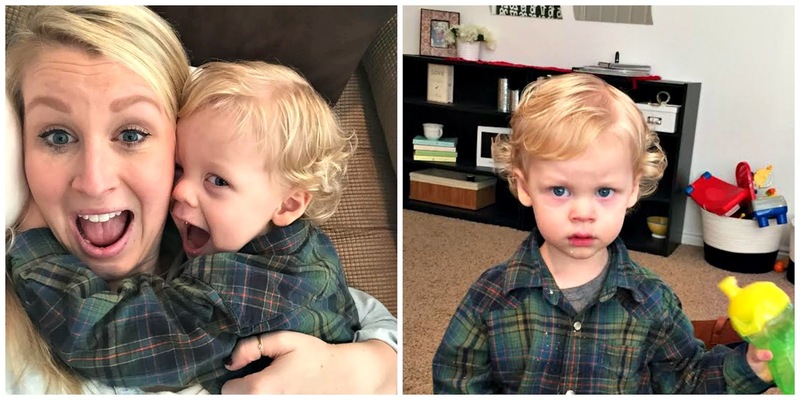 he has the best hair! 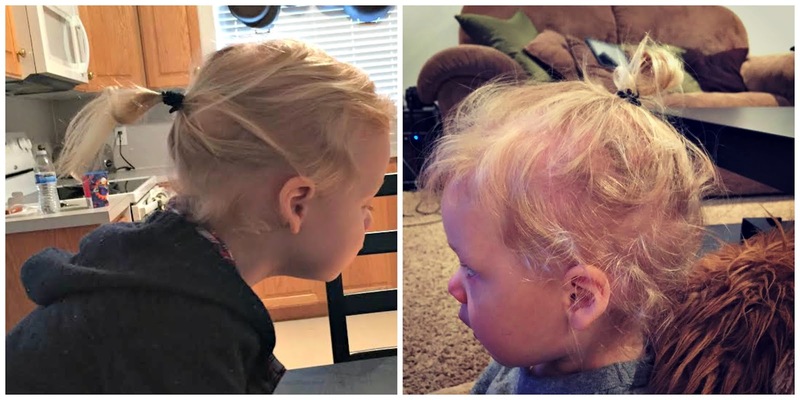 i love that you still kept it kinda long too! xoxo. Some curl!! Seriously that cut is perfect on him! 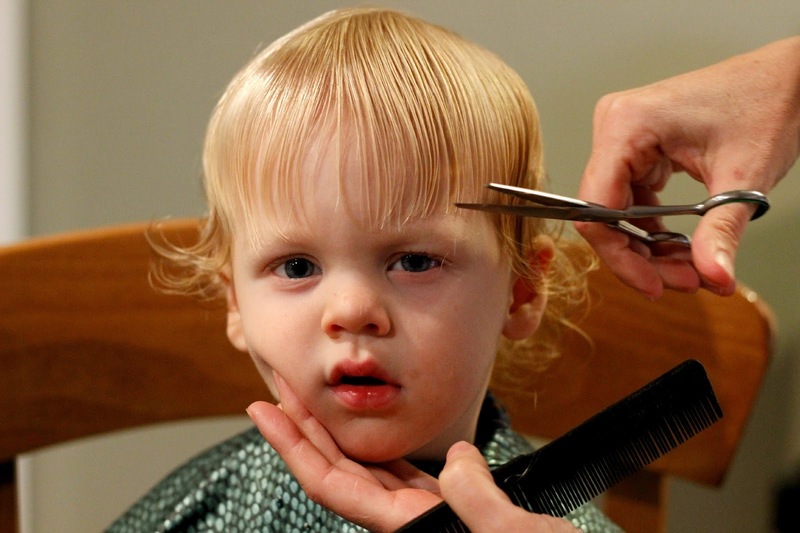 Your child sat quietly and still whilst his hair was cut? WHAAAAT? This does not happen at my house. Which is the primary reason why Elliot's hair is always so long. His curly flow is to DIE FOR! I also love that you kept it a little long. He looks so handsome! !